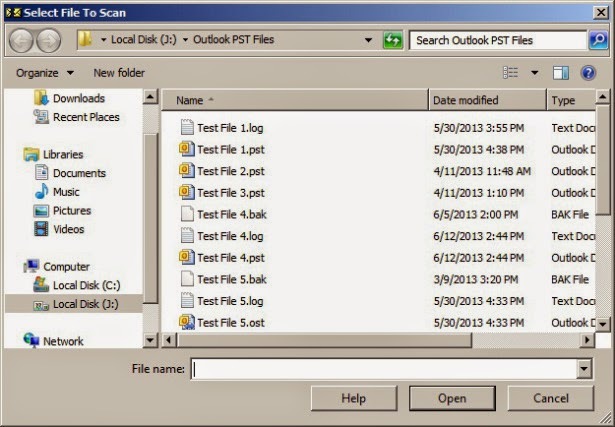 MS Outlook uses an Outlook data file, known as PST or Personal Storage Table. This tool is use to store all the email messages and other mailbox items. There are two types of Outlook PST files: ANSI PST and Unicode PST. ANSI is the default file format of Ms Outlook 2002 and its previous version. It can save up to 2GB of data’s. While Unicode PST is the default file format of MS Outlook 2003 and its later versions. A Unicode file can store data up to 20 GB and in MS Outlook 2010 version it can store up to 50 GB of data. If a PST file exceeds from the limited size it can be corrupt. An oversized PST files are the main reason of corruption. Your MS Outlook application may hang while opening an oversized PST file or user may experience poor performance. Once a PST file becomes corrupted it cannot be opened in MS Outlook. Main reason behind this abnormal behavior of MS Outlook is an oversized PST file. Oversized files are not the only reason behind PST file corruption; there are several reason which may corrupt or damage your PST data files such as hard drive failure, virus attacks, sudden shutdown of system, storage media malfunction, unexpected cancellation of MS Outlook etc. Microsoft Outlook provides a built-in repair function, which can be used to repair corrupt PST files. 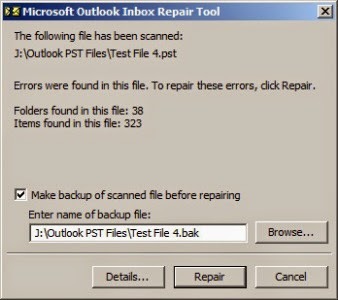 This Inbox Repair tool of MS Outlook is commonly known as SCANPST.EXE. This file is installed at the time of MS Office or MS Outlook installation. 1. Go to the location where SCANPST.EXE file is saved. 4. Click to Browse to select corrupt PST file from the system directory. 5. A new window “Select File to scan” will pop up here. Select desired corrupt PST file. 6. Now you can see the Selected PST file on the edit box. Now click on Start to start the scanning. 8. Within a few seconds your file will be scanned. Now you can see the errors and issues on the dialog box. 9. You will find a new popup window of “Make backup of scanned file before repairing” is checked by default. Now click on Repair button to repair the scanned PST file. Generally SCANPST.EXE can repair a corrupt PST files successfully. But if your file is severely corrupted this SCANPST.EXE tool can not fix it. SCANPST.EXE is useful to fix minor issues from corrupt PST files. In that case we suggest our user to try third party application. With the help of this application, you can repair pst file easily and also recover deleted emails, which will show you in preview items. All this process happened in free version license. But you cannot save the emails until you purchase the full version license. Few days ago I tried to repair my corrupt PST file using Inbox repair tool but it does not work for me. I tried an advance PST repair software. I am happy with output. You can repair Outlook PST and recover all your emails and other items by using http://www.pcrecoveryutility.com/outlook-pst-recovery.html to recover PST data files in their original formats and may help you restore recovered data to various other readable formats. I will suggest you an advance third party Outlook PST Recovery Tool which perfectly repair my corrupted PST data and convert it into new working PST format. 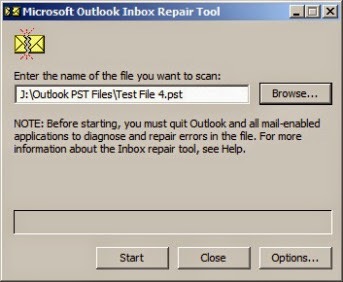 I found an informative article related to How to Repair Outlook PST File. I would like to recommend this article to those users who's Outlook Data File has been corrupted or damaged.